Reading and share top 1 John Lilly famous quotes and sayings. 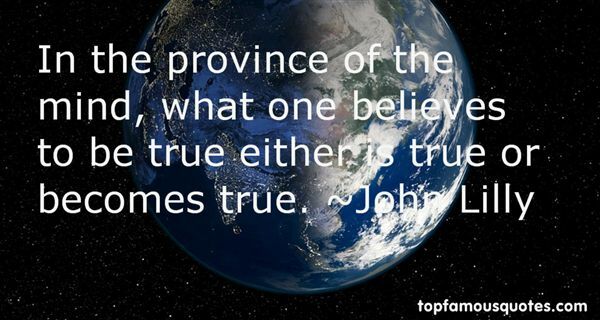 Browse top 1 most favorite famous quotes and sayings by John Lilly. …(my father) would say nothing,And I could not find a silenceAmong the one hundred Chinese silencesThat would fit the one he createdEven though I was the one Who had just made up the businessOf the one hundred Chinese silences-The Silence of the Night Boat. And the Silence of the Lotus, Cousin to the Silence of the Temple BellOnly deeper and softer…"